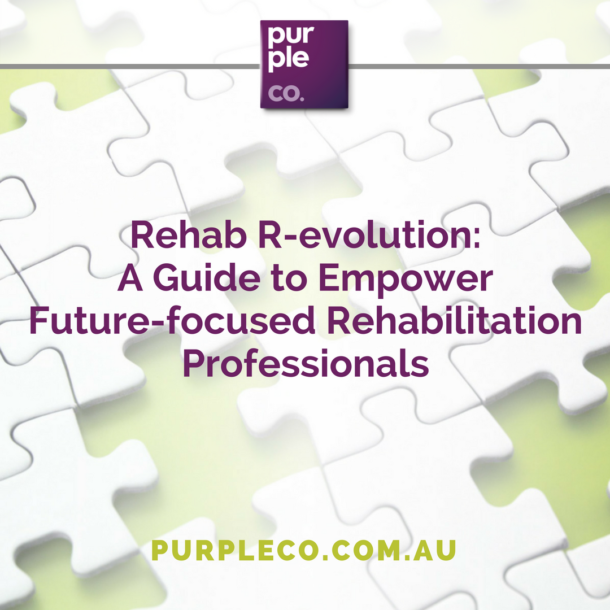 Purple Co’s founder and principal consultant Jo Muirhead has spoken at industry conferences run by ARPA, Occupational Therapy Australia (QLD & NT), The Most Awesome Conference for Therapists in San Diego, USA and has presented to ASORC Members, IPAR and IOH in previous training events. Since 2014 she has delivered training to over 100 rehabilitation professionals across Australia to assist their success in working in the life insurance sector, based on her 20 years of experience in the field. Jo is available to speak on a range of topics relating to rehabilitation, career development and return to work planning. 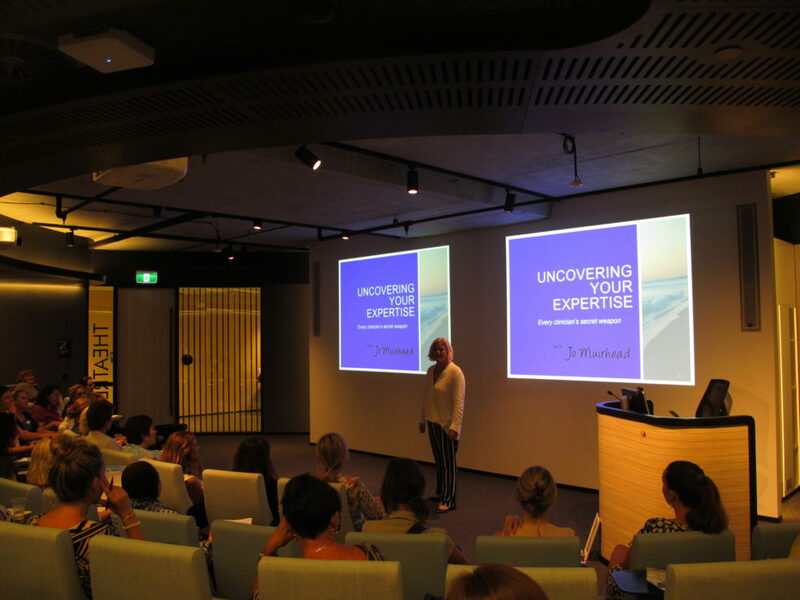 As a mentor to allied health professionals in private practice, Jo also speaks about business development for private practitioners and the lessons she has learned about what it means to build a successful, sustainable and profitable private practice. We’ve all heard that “good work is good for our health”. We’ve all read the papers that support this industry-wide truth. So why do we find it so difficult to put this into practice? How do we impart the message of good work being good for our health for people who have been hurt at work, who are scared of work or who simply don’t value work? And how do we do this in an environment when the concept of “good” means so many things to so many people? What responsibilities do we, as health professionals, have to be living and practicing this belief every day? And what are the amazing opportunities this opens up for us in our clinical practice? When health professionals truly understand their worth and the value they bring to the people they serve, is when we can bring about the transformational change that we long to see in our clients. What is often missing however how we interpret and express our own unique value. When you want to see a transformation occur in your own clinical practice, in your private practice, within your team, in your industry – it starts with knowing your worth. Have you ever walked away from a tough conversation only to ruminate on what you should have said instead? Why is it so easy to remember what we did wrong & how we failed? To feel small and “less than”? Why we are so ready to collect the negative evidence instead of the positive? And when we do see good evidence, why is it so hard for us to believe it as more than a fluke? What if we could train ourselves to remember and focus on the good we have done? What change could we bring about in our own lives, the lives of our families, communities, businesses, and clients if we simply collected and stored our own best evidence? What is truly motivating your clients? It’s not necessarily what you think. Too often, we only scratch the surface of motivation and don’t address the CORE needs of the person in front of us. Drawing on the work of Anthony Robbins, once we understand the 6 CORE NEEDS and how they apply to people who have experienced injury, illness, trauma, and disability, will we see the sustainable change we long to see in our clients. Increasingly we are needing to be adept at assisting clients transfer across occupational roles, functions and industries while navigating a fast-paced ever-changing labour market. What, then, are transferable skills, how do we identify them, how do we apply them to a new occupation? How do we assist a client in owning their own skills in the search for new employment? Every day as rehabilitation professionals we are influencing. Not just our clients, but their family members, their third party payers, their medical and health treatment providers. Without influence we cannot create the environment for change that is needed to successfully facilitate people returning to work. 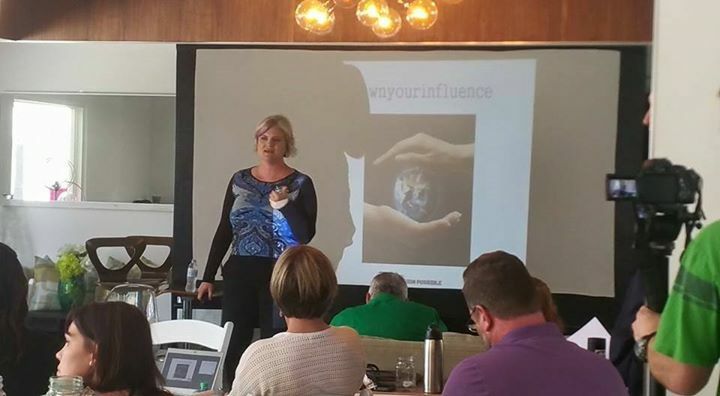 So what is this thing called influence, and how do we make it work? Once we understand who we are influencing, and how to influence them to assist us with the goals we need to achieve, we can create the opportunities for everyone to take ownership and responsibility of their piece of the Return To Work puzzle. Want Jo to speak at your organisation?